A subtle watermark is overlaid on all displays when running in this mode. All project data created with an trial licence can continue to be used after upgrading to a commercial or academic licence. An official evaluation can be arranged by emailing sales@dugeo.com which will grant fuller access to DUG Insight. When you run Insight for the first time, Insight will automatically prompt you to request for an trial licence. Type your Name and Email. These are mandatory fields. Click OK. DUG will send an activation code to your email. 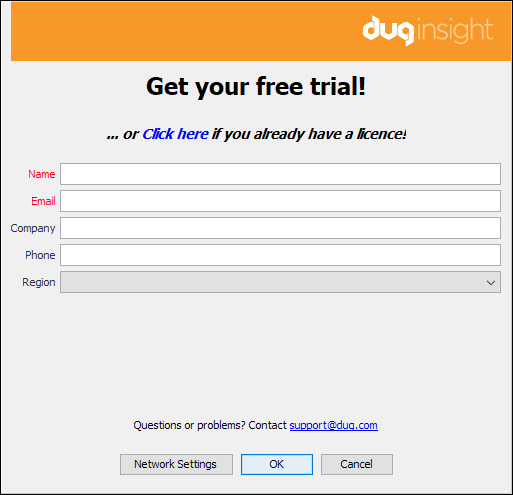 Alternatively, you can also send an email to sales@dugeo.com to request a trial licence. Launch Insight and click Cancel or the Click Here link. 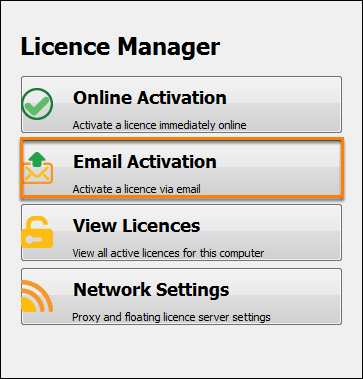 In the Licence Manager window, click Email Activation. Select Request a licence to generate a licence request. 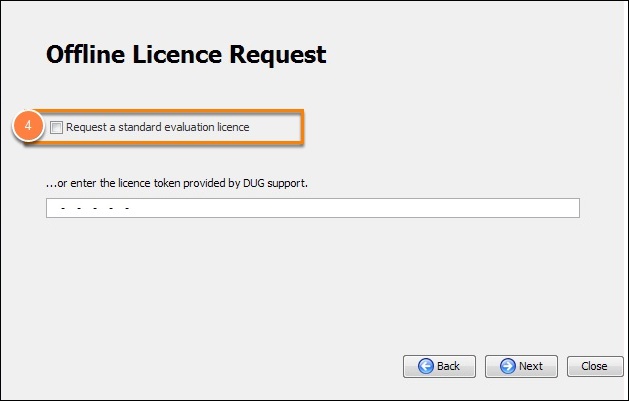 Click on the Request a standard evaluation licence checkbox and click Next. Insight will copy an auto-generated evaluation licence request to your clipboard. 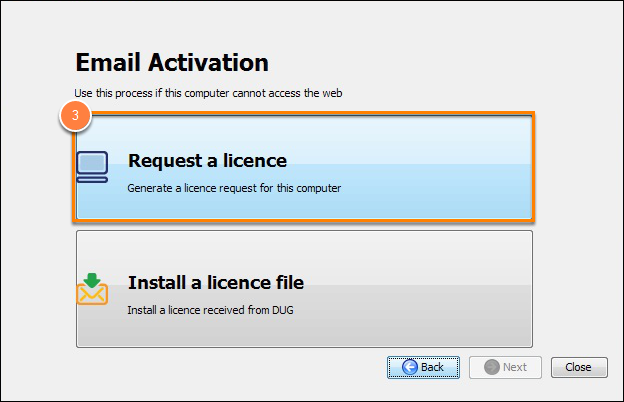 Once you have received the activation code or licence file for the evaluation licence from DUG, you can activate it online or via email (see Online Activation or Email Activation).